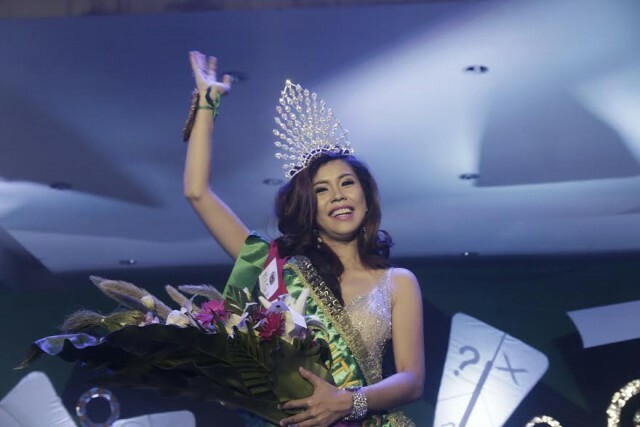 Ms. Jane Irish Mae Duque from Barangay Magugpo North, a stunningly beautiful 21-year old bested 9 other candidates during the Grand Coronation Night of the Mutya ng Tagum 2015 held at the RDR Gymnasium on Thursday night November 19, 2015. Duque captured the hearts of the audience and the judges because of her beauty and intelligence she exuded throughout the pageant night. 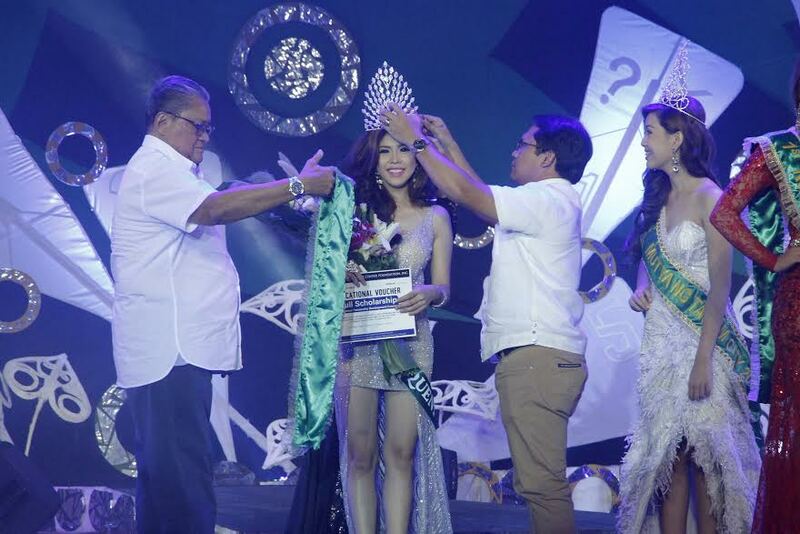 Davao del Norte Governor Rodolfo P. del Rosario and Mayor Allan L. Rellon officially crowned the new Ambassadress of Goodwill. He further said that this year’s Ambassadress of Goodwill will put emphasis on our number 1 agenda on Education, Employment and Culture that this pageant of candidates will manifest our collective view and give importance of education. The Mutya ng Tagum pageant is one of the highlights of the Parochial feast of Christ the King the patron saint of the City. 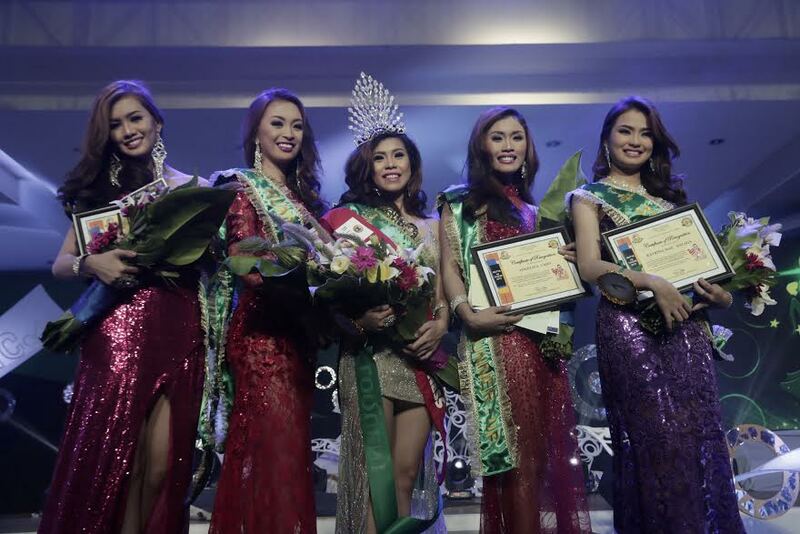 From left to right: Chariss Manuel-4th Runner-up from Barangay Mankilam, Jessel Mae Hombaya-1st Runner-up from Barangay Apokon, Jane Irish Mae Duque-Mutya ng Tagum 2015 from Barangay Magugpo North, Angelica Cajes-2nd Runner-up from Barangay La Filipina and Katrina Mae Balaga- 3rd Runner-up from Barangay Visayan Village. Other candidates in the final circle of 5 were Jessel Mae Hombaya 1st Runner-up received P30,000 cash from Barangay Apokon; Angelica Cajes 2nd Runner-up with P20,000 cash from Barangay La Filipina; Katrina Mae Balaga P15,000 cash from Barangay Visayan Village and Chariss Manuel 4th Runner-up with P10,000 cash from Barrangay Mankilam. Candidates who received special awards were Jessel Mae Hombaya Best in Talent, Angelica Cajes Best in Neo-Ethnic Attire, Katrina Mae Balaga Best in Playsuit and Miss Photogenic, Jane Irish Mae Duque Best in Project Proposal and Miss Eloquent, Chariss Manuel Best in Evening Gown, and Prixie Francisco Miss Congeniality.